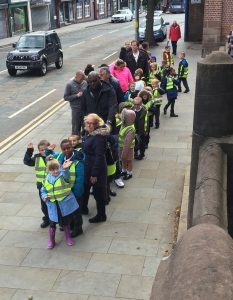 Yesterday on Tuesday 18th September two classes of seven year old children from Boarshaw Primary School visited Long Street Methodist Church. 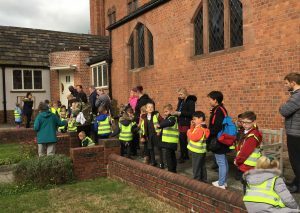 On route they looked at Edgar Wood’s house on Rochdale Road, before visiting the Parish Church and then via the park to Long Street. 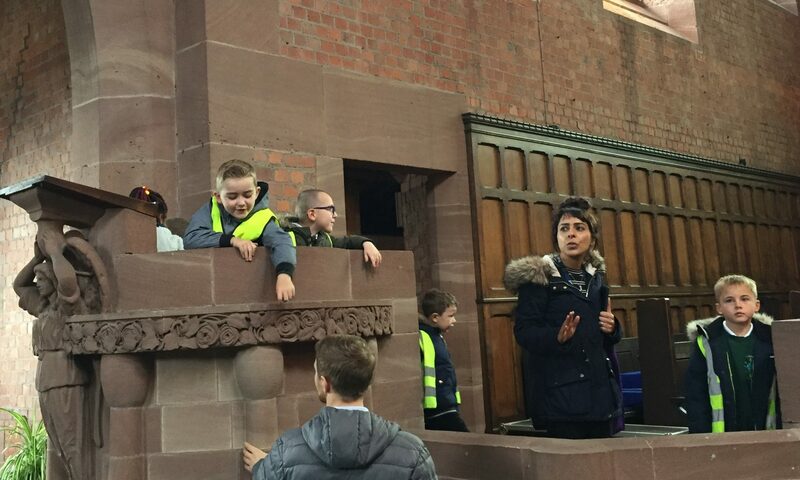 In the previous week Mr. Wood and his associate had visited the school to tell the children what Middleton was like in his day as a boy and how things had changed. 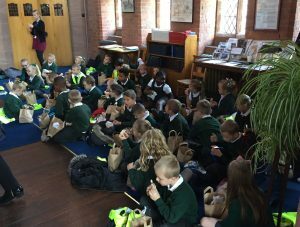 The boys and girls were attentive and well behaved during their visit, but by lunch time they were ready for their packed sandwiches, before their long walk back to school.